We were recently asked to deliver a seminar for Barclays aimed at the professional services sector. 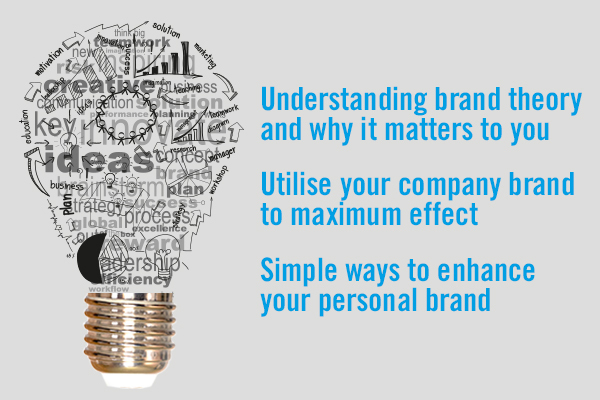 After some thought about what would be of interest and use to the audience, we decided to get ‘back to basics’ and came up with the topic ‘How to Maximise Your Brand’. A brand isn’t just a logo! Throughout the twelve years since we started Whale, I have lost count of the number of clients that have asked us for a ‘rebrand’ – thinking that this just involves creating a new logo! In fact, a brand is much, MUCH more than that…It’s how people think and feel about a company; the experience a customer (or potential customer) has at every touch point they have with the business. How people feel about a brand can influence whether they choose to engage or interact with a company; having a direct impact on sales and therefore being vital to business growth. Mind the gap. It is arguable that any company that is in the public domain and servicing customers has a ‘brand’, and it’s important to know what the perception of yours is if you want to target new audiences or reposition your business. There are many components of a brand, including the company’s vision/goals, its ‘personality’ and where the brand is seen – both physically in terms of its outward presentation and theoretically, ie. where it is within the marketplace. Very often, there is a discord between where the company wants to be and what the reality is with regards these factors. This discord is what we call the ‘communication gap’ – and this is the point from which any brand building or rebranding exercise should start. Consistency is key. The main element of any branding exercise is developing the business’ key messages and target positioning. Part of the process might be to create a new logo or corporate identity to help communicate those messages. When carrying branding across into your marketing materials and communication platforms, ensure that every touch point is covered. For example, there’s no point investing in a new website and marketing materials if your office still looks the same as it did 20 years ago! Embrace your brand and use any branding exercise as an opportunity to improve and take the business to the next level. Remember to involve employees. Whilst what a brand stands for is likely to have been developed by the business owners, it’s important to remember that quite often, it is the front line employees who deal with everyday enquiries that become the business’ voice. If you are going to do a ‘rebranding’ exercise, try to involve employees by asking their feedback and involving them in the process. Obtaining their ‘buy in’ at the outset will make it much easier down the line when the time comes to roll out any changes. Don’t forget your personal brand. In larger organisations, the vast majority of employees have little say or control over the company’s brand or messaging. Everybody, however, has the ability to control their own personal brand. Take a step back and think about what you stand for in business and in life, and think about how this carries across into the way you deal with people. As mentioned in the previous point, if you are representing a business, you should also consider whether your communications marry up with the brand’s key messages and ethos. Employees are the everyday representation of a company’s brand, so singing from the same hymn sheet can help to reinforce branding and create customer ‘brand loyalty’. For more help and tips on B2B branding, or to discuss your business’ brand, please contact The Pod. To obtain a copy of the presentation slides, please get in touch.